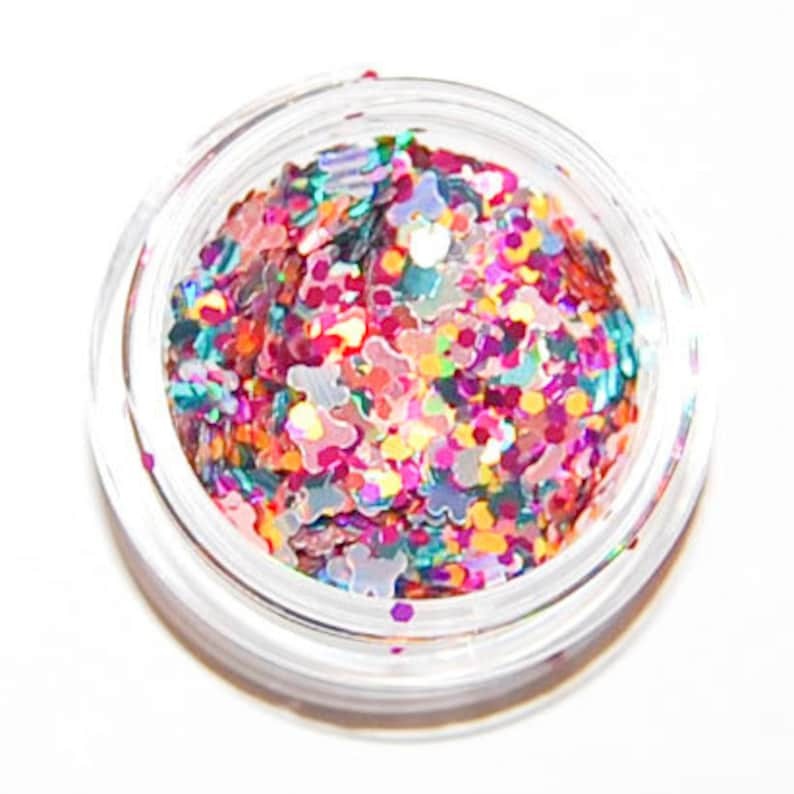 This Glitter Mix is packed full of gorgeous glitters in stunning summer shades of teal, coral, pink and silver with pink and silver holographic butterflies! This is a raw glitter mix that contains hexes and butterflies. Super colorful! Just like the picture! !